 Learn What Career Opportunities Await Capricorn! The period from September up to the end of the year will be good for working individuals; it’s possible that you’ll receive a significant and complicated task to work on. You may get opportunities to sharpen your skills and deal with the tasks you’ll get successfully. Among all the other things, it will increase your self-confidence. In 2018, you’ll do many things for which you’ll be rewarded and it will boost your mood, too, resulting in greater happiness. The year is going to be very fruitful and effective for your career and will give you many chances to feel good about yourself and your work. Try to follow the chosen path and pursue your dreams! New romantic opportunities for Capricorn.